Decodable Readers have been written specifically for the progression of letters and sounds. 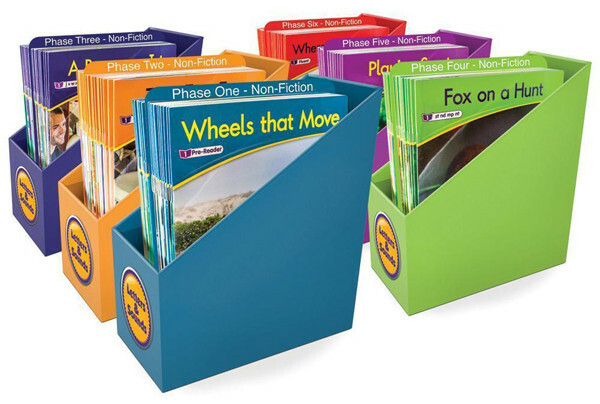 They provide text-based context to practice their emerging phonics skills. Includes 72 fiction readers, each with colourful illustrations and 72 non-fiction readers, each with real-life photographs. Holders are included for easy storage.